The life of a journalist can be really tough at times, especially when his/her job is to write opinion pieces on the unpredictable Premier League. 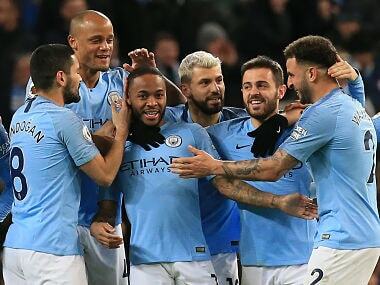 A Gameweek ago we were calculating the number of matches Manchester City would require to win the Premier League title, while Arsenal struggled in the bottom of the league table. However, in a week, suddenly Manchester City look beatable, while Arsenal have emerged among the top four contenders. Some things remained the same though, such as Manchester United manager Jose Mourinho's Trump-like hate for the media. Is defence Manchester City's Achilles heel? Unlike most teams taking on Pep Guardiola's Manchester City (remember City's match against an Antonio Conte-led Chelsea last season? ), Wolves had a more proactive, attacking approach towards the match against the defending champions and were rightfully rewarded with a draw. Willy Boly's opening goal should not have stood as it was definitely a handball, but the newly-promoted team's enterprising and fearless performance warranted a little luck and they got it. The key to Wolves' plan was the counter-pressing initiated by their three forwards - Helder Costa, Diogo Jota and Raul Jimenez. Their high pressing ensured Manchester City didn't have enough time to start attacks from the back, like how Guardiola wants it. Vincent Kompany who was the last player City signed before the takeover by Sheikh Mansour in 2008, might be like a father in the City dressing room but he looked uncomfortable on the ball and showed signs that he wasn't ready to play on a weekly basis. 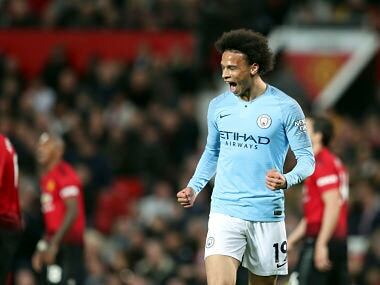 The Wolves forward three targeted Kompany throughout the match like predators picking off the weakest in a pack, which forced Kompany into uncharacteristic lunges and blind passes. City have enough quality central defenders in their ranks, thanks to the millions spent in the last few seasons, not to be concerned too much about Kompany's apparent decline. But Wolves have definitely exposed vulnerability in a seemingly unstoppable Manchester City. Time for other teams to follow the master plan? Brazil-born Italian midfielder, Jorginho is shattering records one at a time for Chelsea. After three games, no other player in the Premier League has attempted or completed as many passes as the former Napoli man, who was brought to London to get Maurizio Sarri's "Sarri-ball" running. Jorginho completed more passes vs. Newcastle than any other player has managed in a single Premier League game so far this season. His individual passing numbers against Newcastle have set a new Chelsea club record, but questions will remain on its effectiveness as the London club struggled against a well-organised Newcastle United. Rafa Benitez, playing with a 3-man central defence, chose a rather defensive approach which allowed Chelsea to boss possession (81 percent), but the strategy almost paid off as Chelsea struggled to find a way through the defence. Majority of Chelsea's and Jorginho's passes were in the middle of the pitch, often unchallenged, and the numbers actually belied the Blues' lack of goal-scoring opportunities. Sarri's attacking philosophy is beginning to take shape, but the attack against the Magpies was often one dimensional, barring the ever-positive Eden Hazard. Chelsea's full-backs, for all their good work, will need to deliver more crosses for strikers to feed on if they are to overcome similar oppositions in the future. Sarri's insistence on playing Jorginho as the deepest midfielder in the team is also affecting N'Golo Kante. The Frenchman is not a goal scorer in the mould of a Radja Nainggolan and is definitely more effective playing the classic defensive midfielder role. Last week we discussed how Lucas Moura could be like a new signing for Tottenham Hotspur and the Brazilian certainly lived up to the billing this Gameweek by putting in a stellar performance in the 3-0 victory against Manchester United. The key to unlocking Moura's potential seems to be a 4-4-2 diamond formation with former Paris Saint-Germain man playing behind Harry Kane as a secondary striker. The diamond formation in the midfield -- Cristian Eriksen in the most advanced position, Dele Alli in the left, Eric Dier in the right and Mousa Dembele in the holding role -- was effective in neutralising a vibrant Manchester United midfield which welcomed back Nemanja Matic. The formation was popular in the 2000s and relied heavily on marauding full-backs providing width. The ever-improving Kieran Trippier dominated the right wing but Danny Rose had an off day. Is a change for Mauricio Pochettino from his preferred 4-2-3-1 on the cards? Guess who said it, Mourinho or Trump? "People love me. And you know what, I have been very successful. Everybody loves me." "I think I am, actually humble. I think I'm much more humble than you would understand." Just to be clear, United States president Donald Trump said all that. But the similarity is uncanny, right? 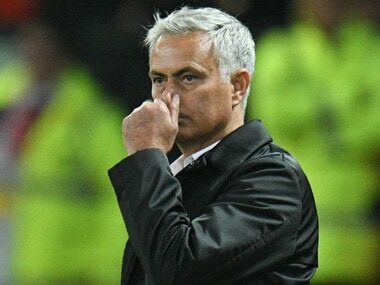 After a humbling loss against Tottenham, which added more fuel to rumours that former Real Madrid boss Zinedine Zidane might be replacing Mourinho at the helm of Manchester United, the Portuguese manager chose to walk out of the post-match press conference, but not before pointing out how he was the most successful manager in the league. To be fair, Manchester United were the better side in the first half and would have been a goal in front had it not been for Romelu Lukaku's profligacy. But the defence (in Mourinho's defence an area where he wanted reinforcements in the summer) was again calamitous as it gifted Tottenham chance after chance. Phil Jones was lucky to not give away a penalty, Vincent Lindelof had a nightmarish backpass saved by David de Gea while Chris Smalling was at fault for Lucas Moura's second. It is probably too early to talk about Mourinho's third season syndrome, but the signs aren't positive. Liverpool now a complete team? Three games into the season and Liverpool haven't conceded a goal yet. Jurgen Klopp's men are much more these days than the can't-stop-scoring Mohamed Salah and their relentless attack. Adding Naby Keita to the midfield has added more defensive steel that his predecessors Philippe Coutinho or Adam Lallana could not provide. 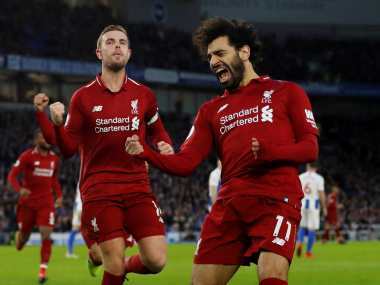 The new-found robustness of last year's entertainers is also down the assured presence of two giant figures in the defence -- Brazilian international Allison Becker as a 'keeper and Mr SUV Truck Virgil Van Dijk. With great squad depth, attackers in form, and defence looking solid, Liverpool looks, arguably, the most balanced side in the Premier League.